My firm is located in Madison, Wisconsin. I practice primarily in wills and estate planning, probate, tax planning, business planning and real estate. My philosophy is that by narrowing the scope of services offered, I can be very skilled in specific areas of practice. With constant changes in the law, especially in the tax and estate planning areas, it is very difficult for attorneys to be proficient in numerous areas of law. 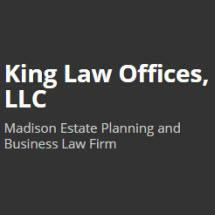 Our practice is limited primarily to estate, tax and business planning. I analyze individual needs and goals and outline, design and implement plans which meet your goals in the most beneficial and cost-effective way with the least possible paperwork and bureaucracy. The key to my success is the quality relationship which I maintain with clients. Clients are treated with integrity and respect for their needs, goals, and objectives. I focus on educating my clients about the law while listening to their individual desires. I am an AARP Legal Services Network Participating Attorney. Fee discounts for AARP members are available.